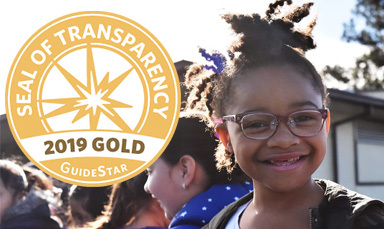 Five Ways to Support Playworks by Going Out to Eat! Have Shake Shack for breakfast, lunch, AND dinner on Monday, February 4! 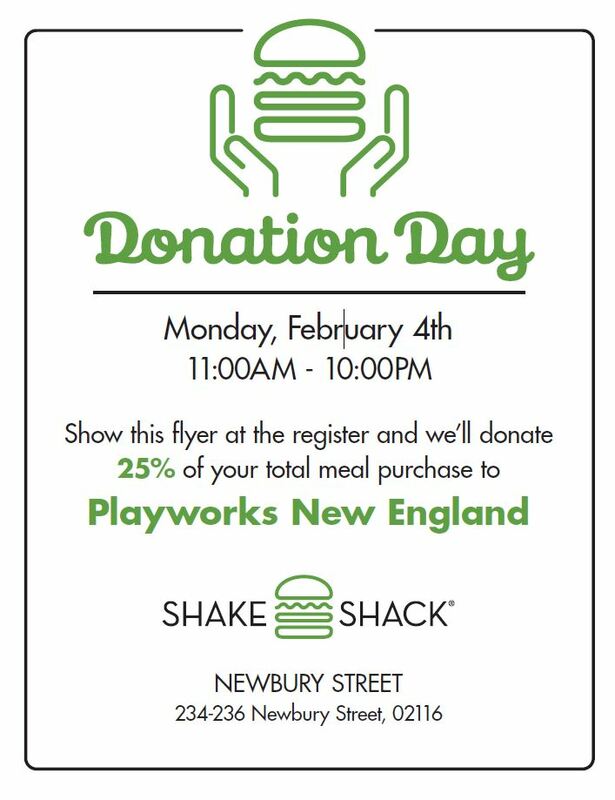 Show this flier at the Newbury Street Shake Shack and 25% of your purchase will be donated to Playworks! 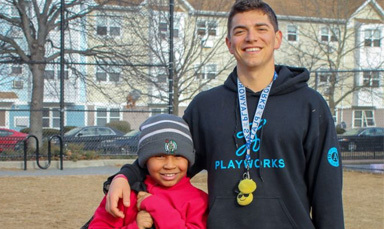 On Tuesday, February 5 between 4-11 p.m., Flatbread Company in Brighton will donate a portion of all pizza sales to Playworks New England! 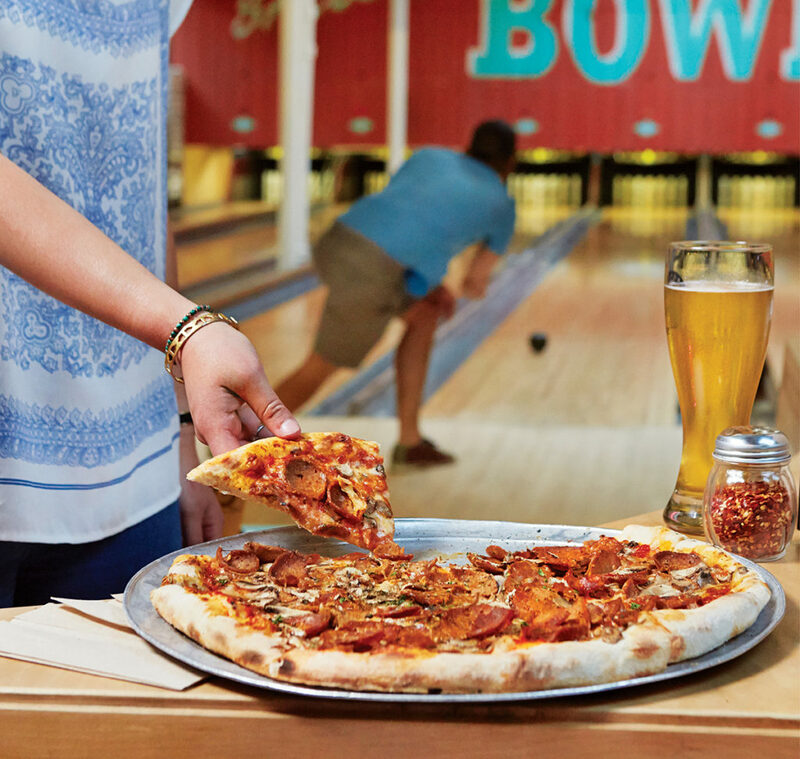 Order take-out or delivery, or join us at Flatbread Company next Tuesday for a night of great food, bowling, and supporting our programs in schools throughout New England! 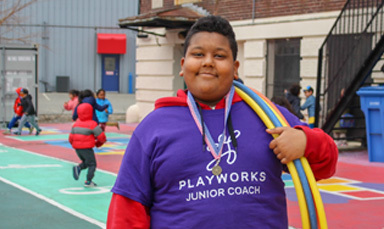 Everybody’s favorite Mexican fast-casual is contributing 33% of sales to Playworks between 4-8:30 p.m. at the Seaport Location on Friday, February 11. Remember to show this flier at the register! Because you can NEVER have too much pizza. 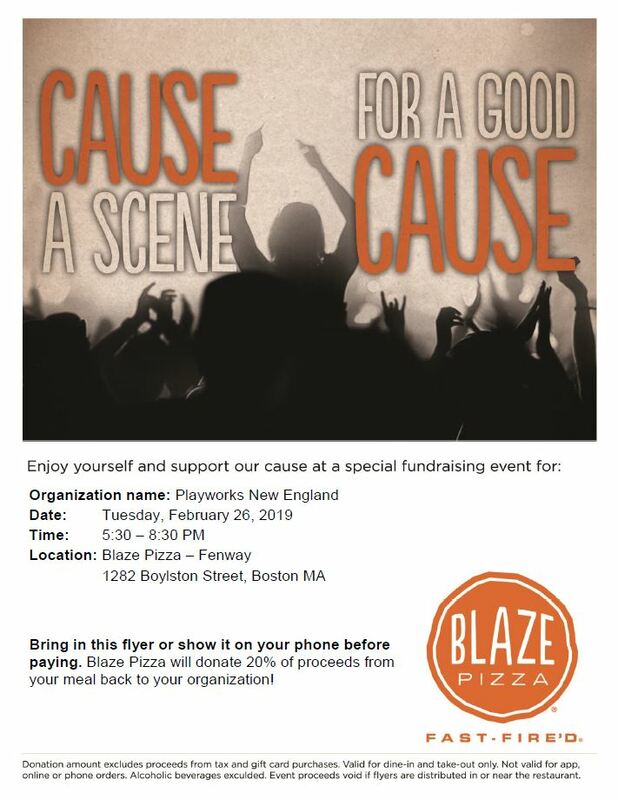 Join us at Blaze pizza on Boylston from 5:30-8:30p.m. 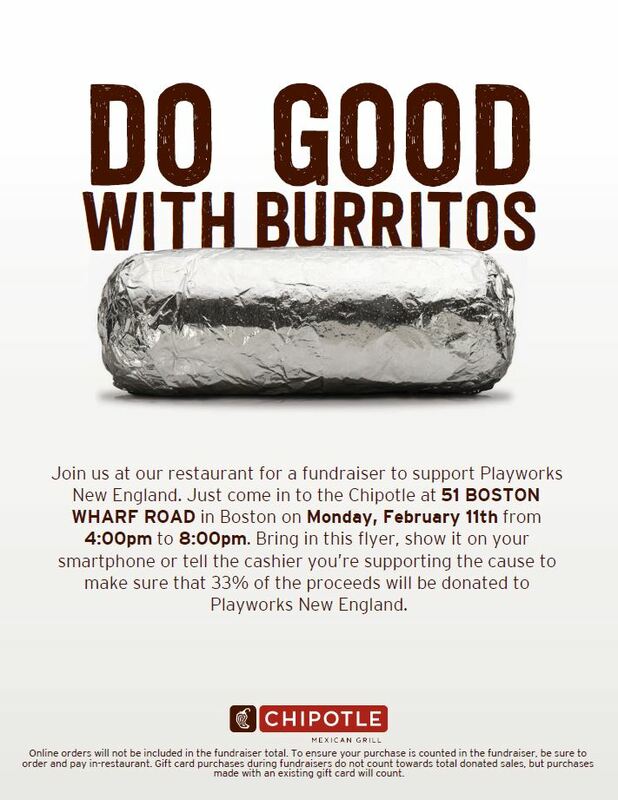 on Tuesday, February 26 and 20% of your purchase will be donated to Playworks when you show this flier. 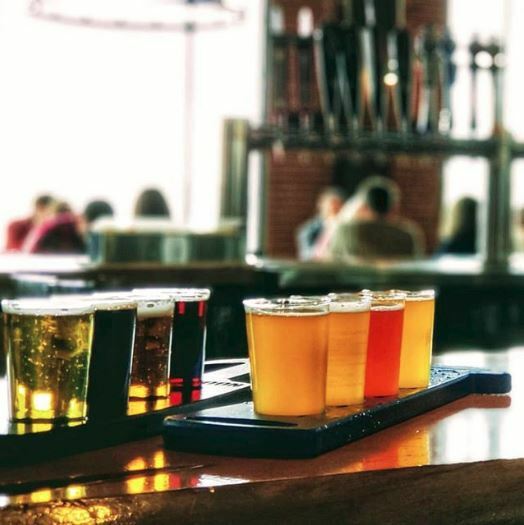 Join us at Harpoon Tasting Room from 7-8:15 p.m. on Thursday, February 28.  Tickets are $25, purchase them here to guarantee entry!